Green Map System promotes inclusive participation in sustainable community development worldwide, using mapmaking as our medium. support locally-led Green Map projects as you create perspective-changing community ‘portraits’ which act as comprehensive inventories for decision-making and as practical guides for residents and tourists. 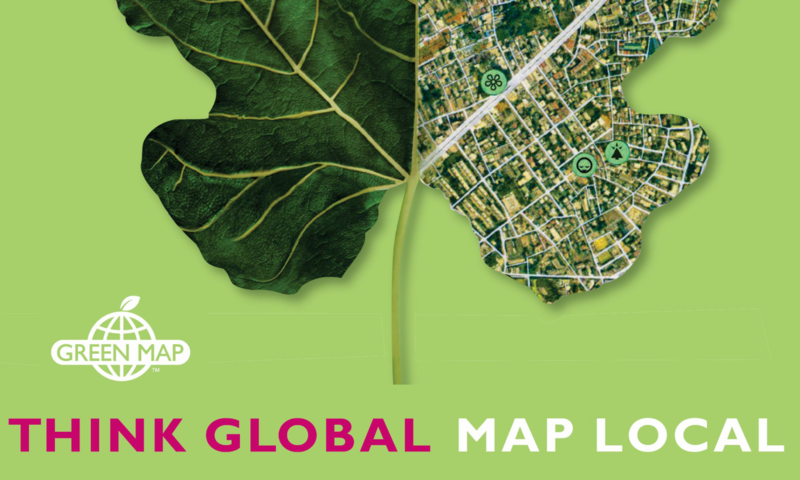 Mapmaking teams pair adaptable tools and universal iconography with local knowledge and leadership as they chart green living, ecological, social and cultural resources. Green Map System is based in the culturally-rich, socially active neighborhood of the East Village. There, our small team develops both global and local resources that test out new concepts, extend the meaning of Green Map, and support change in our home community alongside our global efforts. Green Map System is a collaborative project with important social and environmental impacts. You can get involved with Green Map System in a few ways: as a user of Green Maps, researcher, journalist, supporter, or as a global citizen. Green Map System offers free Energy & Environment Education Modules designed for middle and high school students. These modules include Green Mapmaking and related sustainability resources for charting energy in the school, mapping street trees and green spaces, car-free mobility and waste reduction. If you are an educator and would like this program implemented at your school, email info@greenmap.org. Green Map System encourages individuals, children and adults, who would like to get more involved in becoming Green Map Mapmakers. They invite you to become the leader of your community’s Green Map team. Check if you local area already has a Green Map team, if so contact your community organizer to get involved with their team. If there is not, begin the registration process in becoming a Green Map Mapmaker Community Leader.